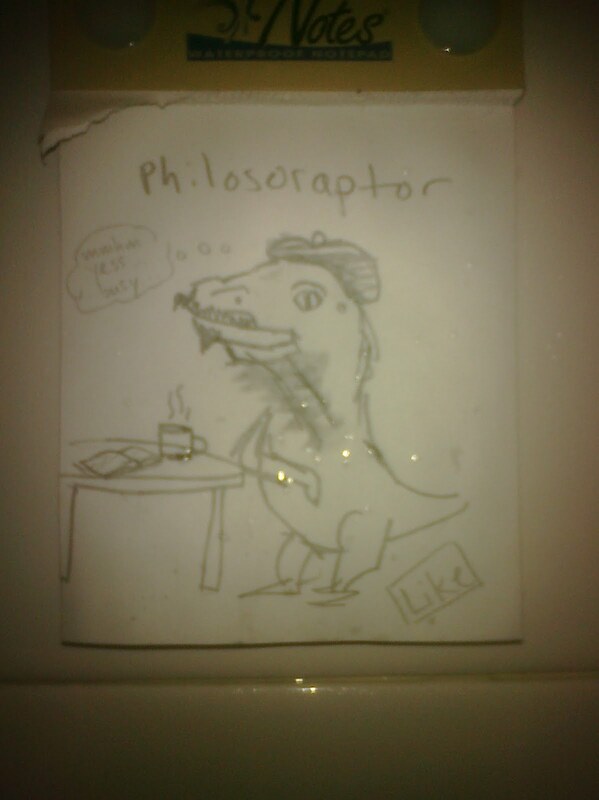 We have a notepad in the shower, on some kind of water proof paper, using a special pencil. A few days ago, I found this, created by my son, Max. A dinosaur, with goatee and beret, says, "Hmm, yes, busy." The "Like" is, I think, my daughter's comment. So what's bad: the other shower isn't working. What's good: live art feed and commentary.